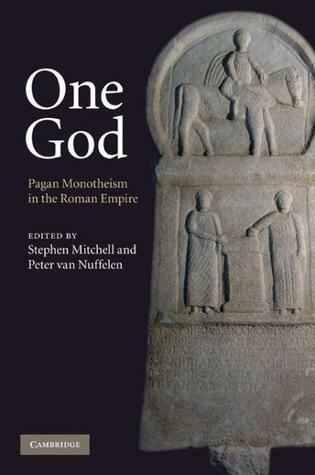 “Platonists, who employed the notion of a hierarchy of gods to reconcile their conviction about the unity of god, the first principle of everything, with polytheism as it was practiced, were obviously referring to demons or angels when they spoke of gods. Augustine was even prepared to accept calling them gods, provided the term was correctly understood: ‘When the Platonists prefer to call demons (or alternatively angels) gods rather than demons and are prepared to count as gods those who are created by the highest God, about which their originator and teacher Plato has written in the Timaeus, let them express themselves in this way, as they wish, since there is no reason to have a dispute with them about words. In fact, when they call them immortal, in the sense that they have all events been created by the highest God, and blessed, in the sense that they ware blessed not in virtue of their own internal qualities but for the reason that they depend on their creator, then they are saying the same thing as we are, whatever terminology they use to express themselves.’ In Augustine’s opinion, the terms used for describing the divine were irrelevant. What mattered was the underlying theological concept. The position of the one true God would be imperiled if immortality and blessedness were considered to be attribute of the so-called gods in the sense that could only be applied to the one true God. As long as this was not the case, it was immaterial what names were given to beings subordinate to the one true God. On the pagan side, Augustine treated the Platonists as the only theological adversaries that needed to be taken seriously and as the most dangerous, because in his view they came very close to Christian concepts. However, this closeness, which Augustine developed in his idea of the concept of God in order to establish the genuine identity which lay beneath simple terminological differences, is not only factually observable, but also deliberately manufactured and—this is the decisive point—consciously exaggerated. Augustine portrayed the consensus at this point as so close, and at the same time raised the Platonists to such a high level, in order to be able to destroy them with all the more decisive and lasting effect. For, although they had achieved a true notion of God, of his Oneness and of his other qualities, they now committed the worst of errors that man could make in that they worshipped as God something that was unworthy of worship, because it was not the one God, but many gods.” -Alfonse Furst, “Monotheism between cult and politics” in One God.